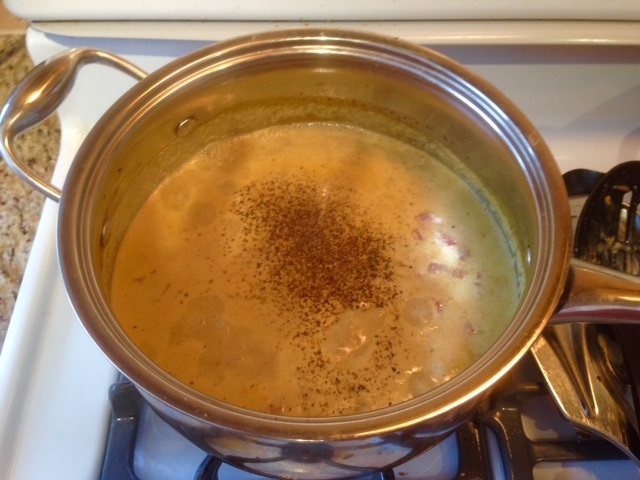 With our weather turning really cold early this February I was in the mood for a steaming bowl of smoked chowder. Looking in my cupboards to see what chowder ingredients I might have, I found a couple of cans of smoked muscles. I usually use clams to make chowder but had no clams in sight. Muscles (along with most shellfish) have a lot of iron in them and, as a mostly plant based eater, I keep them on hand to give us a good dose of iron occasionally. 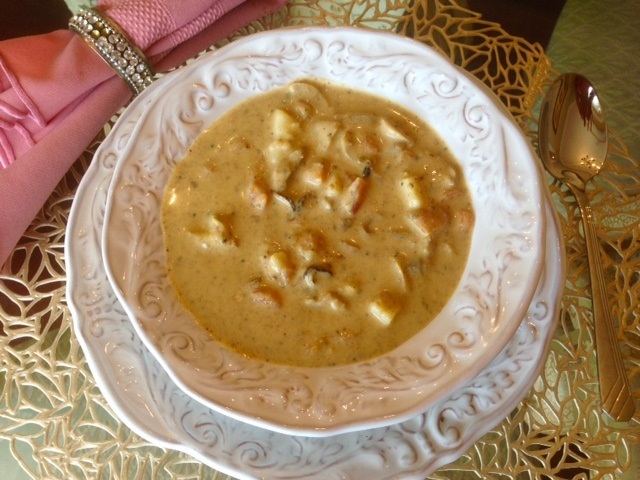 This chowder turned out so well I just had to share it with my readers. Mashing up the muscles first made creating a creamy rich base really easy. I didn’t have celery on hand when I created this recipe but I think some chopped celery could make a welcome addition. In a large saucepan, mix the mushroom soup, mussel paste, diced carrot, potato and mushrooms, tomato, milk and water and bring to a boil over medium heat. Remove from the heat. Combine the dry herbs, flour and cream. 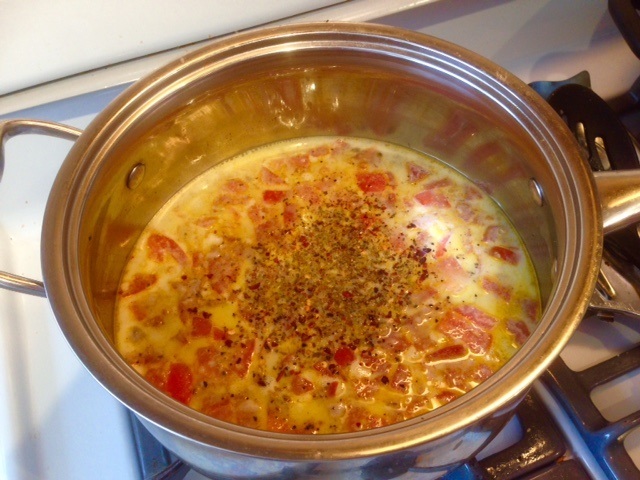 Add to the soup mixture and stir over low heat until hot, but not boiling. Remove from heat. Season to taste with Himalayan sea salt and Black pepper. Serve in bowls with a simple side salad to accompany.